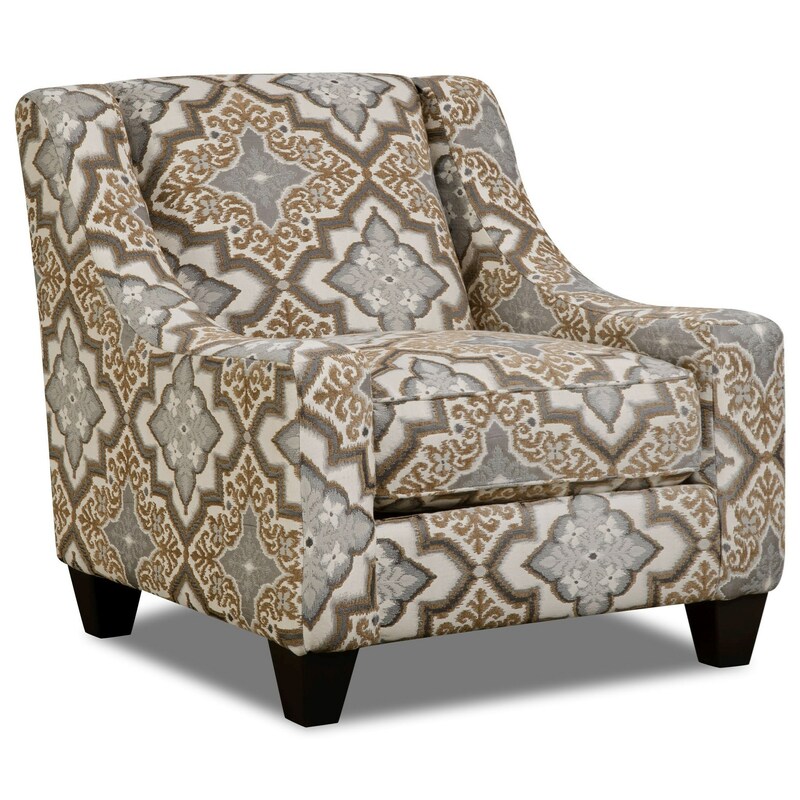 Spruce up the design of your living room space with this transitionally styled accent chair. Ornate medallion-patterned fabric gives this piece a look that will stand out, while high-set track arms offer a trending stylistic element. The 34B0 Transitional Accent Chair by Corinthian at Miskelly Furniture in the Jackson, Pearl, Madison, Ridgeland, Flowood Mississippi area. Product availability may vary. Contact us for the most current availability on this product.